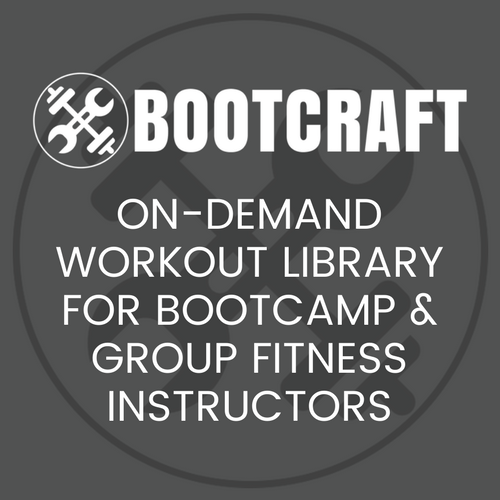 How do I add more variety to my bootcamp than just different bodyweight exercises? How do I make my bootcamp stand out from the others that run in area? The solution to both is the same. I recommend picking up some tyres. They are versatile and cheap (read: free) which is two big things we look for as trainers, especially when our business is still small. Until recently leaving my bootcamp to focus on Bootcamp Ideas full time, I had been running bootcamp sessions with tyres for over 4 years. They give some really awesome workouts. Before you can start using tyres though, you have to go find them. That is why I thought I should share my tips to finding tyre of all different sizes. You should get some big ones and small ones to give you the most exercise variety. Note: Before any Grammar Police jump on me, I am Australian, we spell tyre with a ‘y’ not an ‘i’. These are the easiest to find, which is good because you probably want enough of these so each of your campers can have one. Give them a call or go in there and tell them that you run a small gym/Bootcamp and that you were wondering if they have any used tyres you could take off their hands. You should never pay money for tyres. You are actually doing them a favour as they have to pay money to get it taken away as scrap rubber. By taking the tyres away for free you are doing them a big favour. Pro Tip: See if the tyre service centre have any 4WD tyres too. These are often twice as heavy as a car tyre and are a good weight option for your stronger clients. Where did I get mine? A car service centre closed down the road, the car wash that moved in there was left with dozens of old car tyres. They were more then happy for me to take a few off their hands. A truck tyre, 5 car tyres and a thin battling rope. This is me with a tyre off a 4WD. They are much heavier making them a good challenge for your strong clients. The next option up from car tyres are larger diameter truck and bus tyres. These can be flipped or carried farmers walk style or used for team drills. The increased size and weight adds a new level of difficulty to training. Finding truck tyres can be a little tricky. I got my first one through a client who had a connection in a car club. The next couple I got were from the same place as my tractor tyres (read below). The other place I would check is specialised bus and truck mechanics. These guys usually fit new tyres in addition to doing servicing because what they do is so specific. Do a google search on ‘[your town] bus mechanic’. Even if they can’t help you themselves they will most likely know someone who can. Where did I get mine? After using car tyres at my bootcamp a few times, a client told me about a car club friend who traded second hand car parts. I gave him a call and sure enough he had some old truck tyres lying around for me to take off his hands for free. I had two tyres like this, both weighing 55kg and a third one the same size, but lighter at 35kg. Tractor tyres provide another level of training. Their increased width means they also double for a step or box. 4 ft. to 6 ft. diameter tractor tyres are pretty easy to come across. Back in my early days of running Bootcamp I used to drive past a spare tractor tyre on a farmers field and think, ‘man I should really go in there and ask of they still want it’. I never had any way of transporting it though at the time and the locations were usually too out of my way to come back. Until one day, driving down to a regular weekend getaway town of ours (around 2 hours out of Melbourne), I spotted 4 tractor tyres leaning up against the wall of a tyre service centre. I immediately pulled over and enquired about them. After some confusion over why I would want to take these old tyres off them we agreed for a pick up time the following week. They also had some truck tyres so I asked for a couple of them too. Next week I came back with my trailer and was able to cart them home. The moral of this story; look to your out-of-town tyre dealerships to find these tyres. Where did I get mine? I just told you above. Go six lines up and start reading. You can imagine my excitement when I spotted these out the front of a tyre centre. I nearly drove off the road. These enormous tyres probably aren’t very practical for your Bootcamp unless you can leave them at your Bootcamp location. Weighing in at 200kg and over you may have to fork out some cash for one of these due to their rarity (tyres this big are expensive so companies that use them try to avoid replacing their tyres – therefore there aren’t many old ones, hence the rarity). The old ‘earthmover tyre [your town]’ may get you lucky, especially if you are near a mining location. A search for ‘tires’ or ‘tyres’ or ‘earthmover tyres’ on Craigslist, Gumtree, Yahoo Local, Google Maps or eBay. Go scavenge around the rubber section of your local junkyard or large tip. Where did I get mine? I didn’t. While I would have loved one, I would have had to invest in a truck just to cart it around! You just got a taste of my new book! Where to Find Tyres for your Bootcamp is a chapter from my new ebook, The Little Bootcamp Book of Tyres and Ropes. It will be available next Monday (June 2nd, 2014). If you are considering using tyres and battling ropes at your bootcamp, or you already do, I think you are going to love it. You can read more about it here.